In Defense Of: Episode 15: Why Not YA Fiction? Episode 15: Why Not YA Fiction? From the ubiquitous appeal of the Harry Potter series, to the rocketing career trajectories of authors like Rick Riordan, Kate DiCamillo and John Green, we are at a point in popular culture where the stories and series that would categorically be branded as "young adult" fiction are more widely known and discussed among all age groups that are the more conventional "adult" titles. Is this because of some simplification of the average reader's efforts? Is there some surreptitious effort by the publishing industry to market to two demographics with a single genre of literature? Or is the zeitgeist of the present-day reader attuned to these youth-labeled titles and tales for less conspiratorial, more wholly appreciative reasons? Joined this week by librarian, book reviewer and technology integrator Joy Piedmont, we look at "young adult" literature as an isolated category, and why its appeal transcends this target audience. Hardcover to paperback makeovers: 6 ya changes to consider - Cover design in YA (one of many posts Kelly Jensen does on the topic). Edwards Award - A lifetime achievement award for a YA author. This year, David Levithan won. 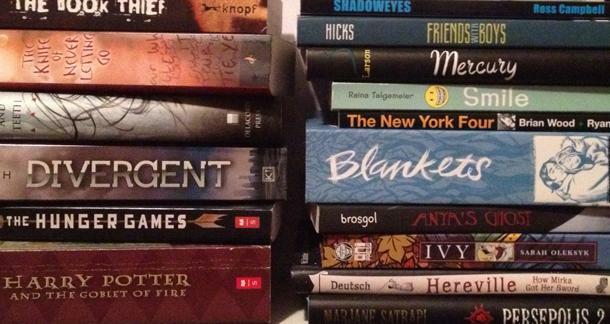 A good starting point to find amazing YA authors with large bodies of work. Morris Award - Honors a debut author writing for teens. Kind of the opposite of the Edwards. Get in on the ground floor with promising talent. Coretta Scott King, Pura Belpre, Stonewall, Schneider - For African-American authors, books that honor the Latino/a experience, books that honor the LGBT experience, and books that portray disability. Great resource for excellent diverse titles. We Need Diverse Books - Forgot to mention, but people in the children’s and YA lit world have been leading this awareness campaign for more books by and featuring people of color. Another reason why kidlit people are awesome.